Ever wanted the leader of your empire to be a woman? Well, here's your chance! Just unzip into your '.../My Documents/My Games' directory and it should automatically be placed where it should go. - Faulty Wormhole; Not every wormhole in the galaxy is what it seems. Sometimes a shroud of illusion covers the real treasure. - Sensor Upgrade; An advanced sensor drone was found amongst the debris and should rpovide valueble technological data. 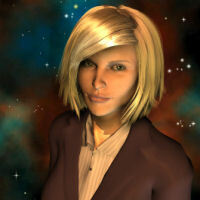 - Flora in Space; Space-born flora presents some very enticing options... if you act quickly enough. - Minerals Turned Awry; Not all things you find will help you. - Valuables; But sometimes the things you find turn out better then you expected! - Days of War; It's amazing to see the effect a few pieces of paper can have when spread amongst the right people, isn't it? - Each anomaly has it's own unique picture! - Go to your main directory and enter the 'Data' folder and then the 'English' folder ('.../GalCiv2/Data/English'). Back up the original anomalies.xml.